This budget friendly hotel is an ideal choice if your idea of vacation is about shopping and indulging in delicious street food. Central World, Big C, Platinum, and Pantip are accessible within walking distance. 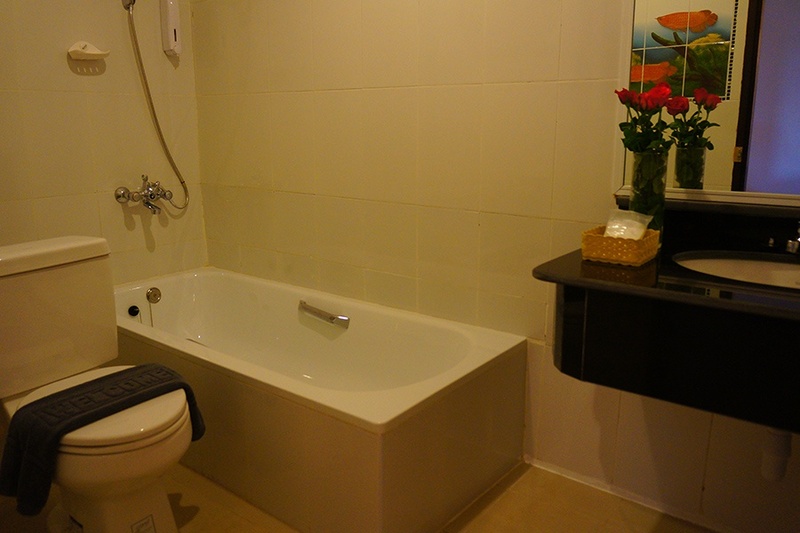 The rooms are equipped with fridge and safe deposit box, and the bathrooms are quite clean. 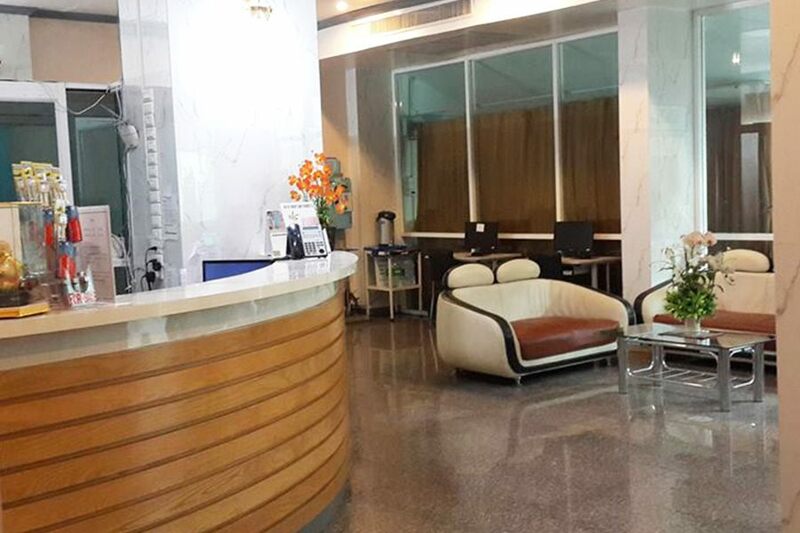 Placed in the heart of Bangkok city, J Two S Pratunam Hotel is a 2-star hotel. It is at 2 minutes walking distance from the famous Pratunam market. Owing to its close proximity to a wide array of a shopping destination, it has become the ultimate choice of shopaholics and they love to stay in the place. The atmosphere of J Two S Hotel Bangkok is believed to be perfect for people who are searching for a peaceful and wonderful experience in the midst of nature. 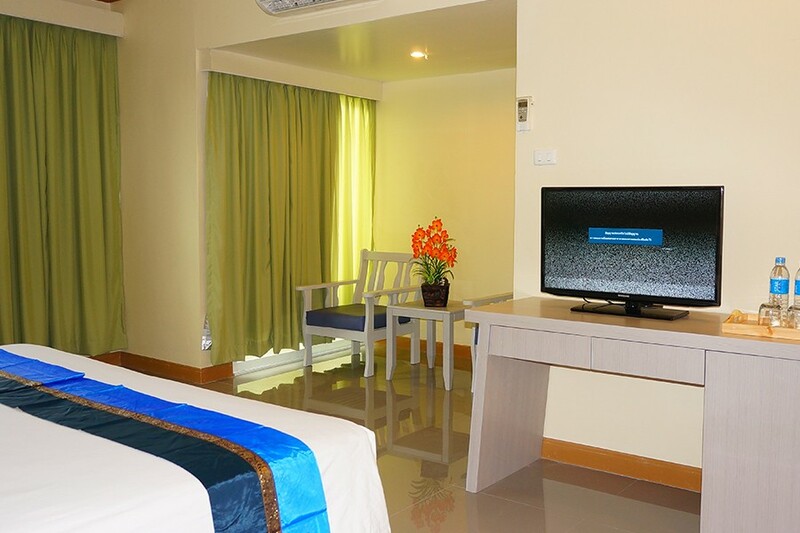 This hotel offers the best of amenities and facilities that let the guests enjoy a luxurious stay. 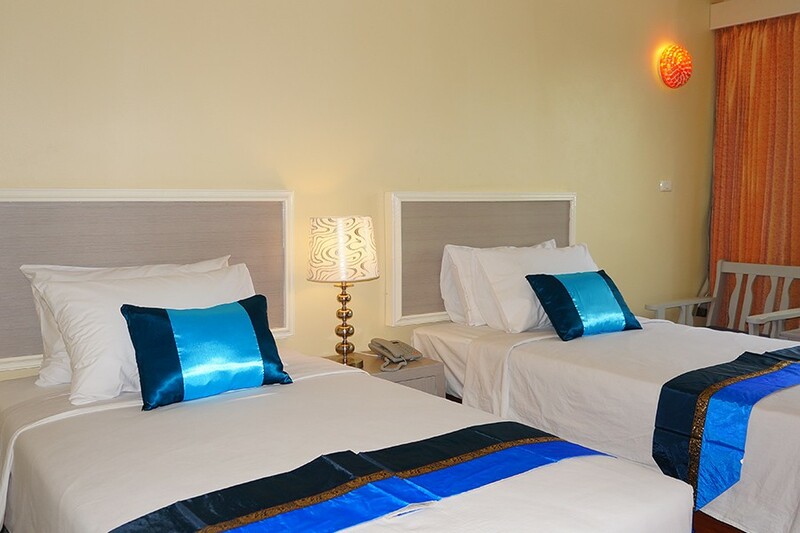 The primary objective of offering a stay in this hotel is making the guests feel rejuvenated. Guests can relax by availing the spa services in the spa and wellness center of the hotel. It is the premium choice for those who have a keen interest in shopping for clothes and relishing in delicious cuisines. The architectural beauty of this hotel is just amazing. It features a variety of accommodation options which will surely leave one stunned. 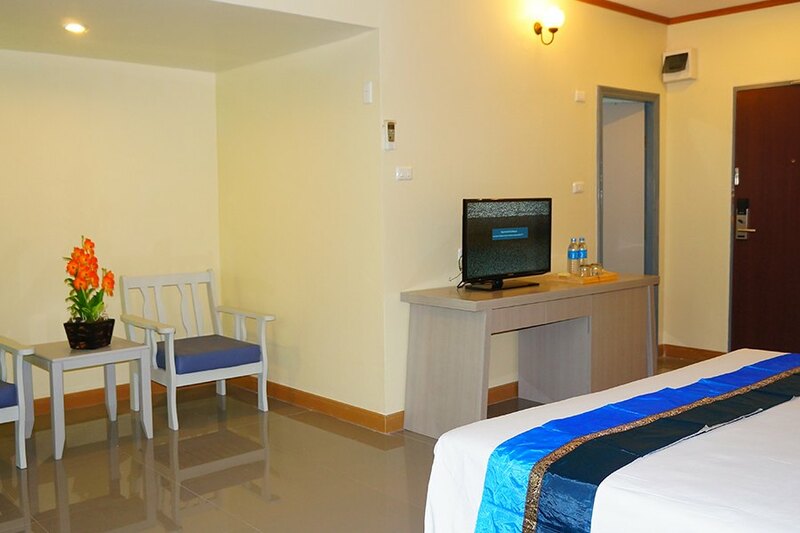 J Two S Pratunam Hotel boasts of comfortable rooms that are equipped with flat-screen satellite TV, air conditioning rooms, seating area. 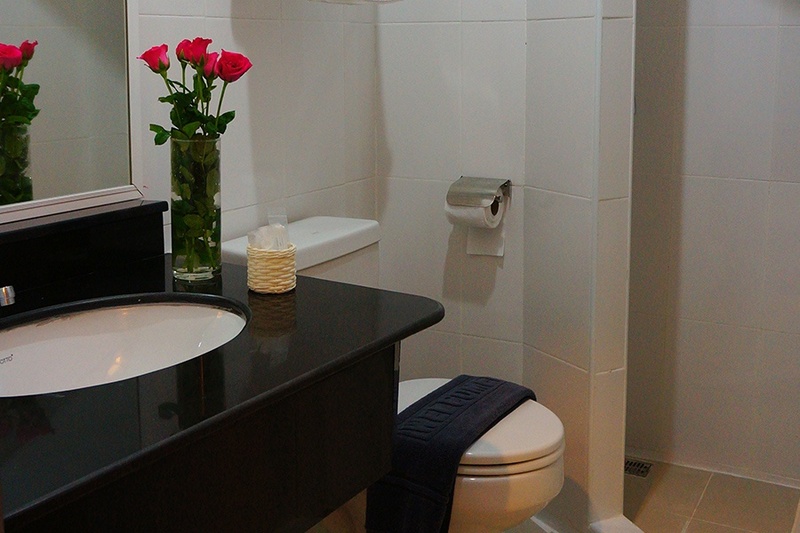 The En-suite bathrooms of this J Two S Hotel Bangkok are equipped with shower facilities. 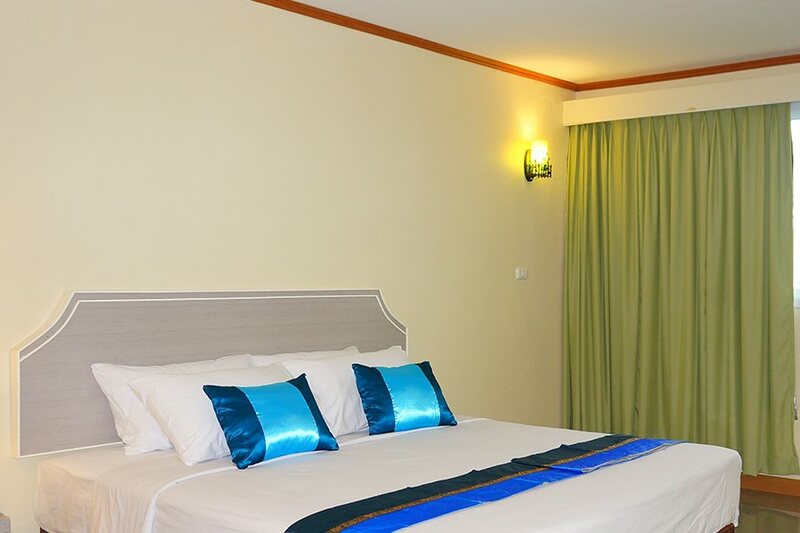 The Standard Double or Twin Room of the hotel is considered to be the prime choice of guests in which the size of the room is 24 sq. and it has the En-suite bathrooms, flat screen cable TV, air conditioning facilities. 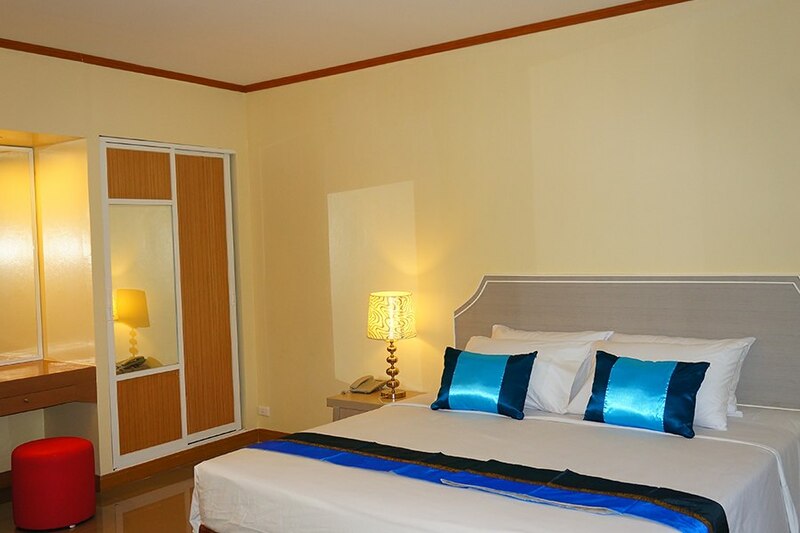 The Deluxe Double Room provides additional space along with a private bathroom. 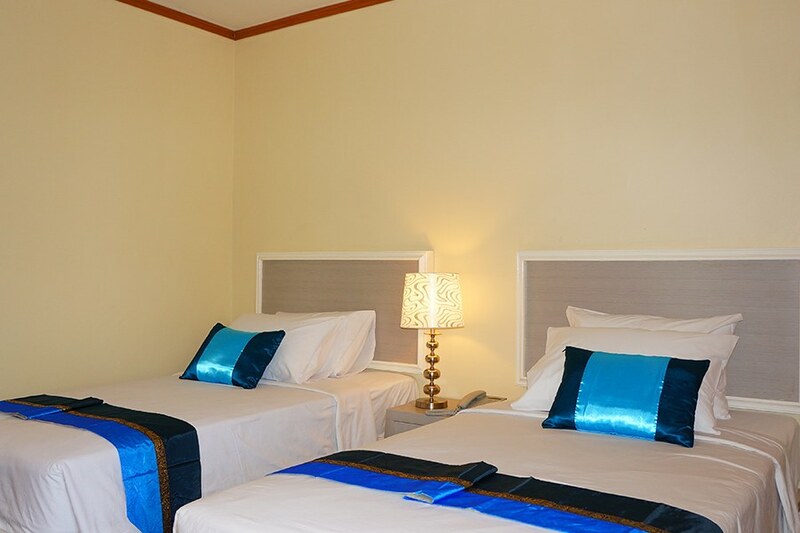 The Deluxe Double Room with Bathtub contributes to being large air-conditioned rooms that are equipped with en-suite bathrooms along with bathtub. In addition to this, a flat-screen cable TV and seating area are also included. 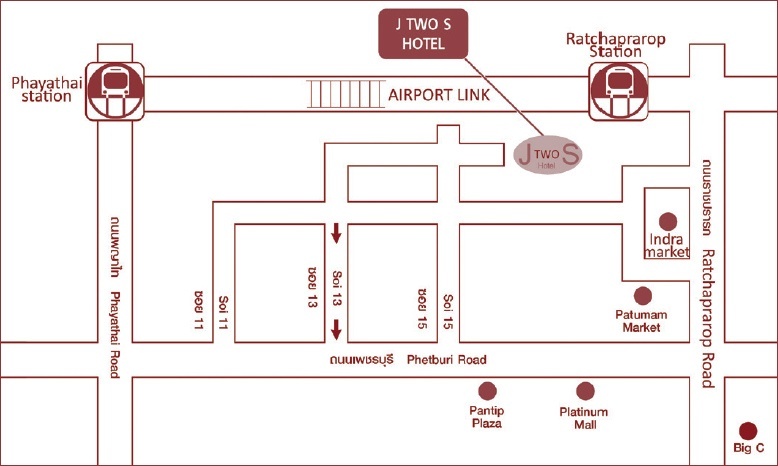 At J Two S Pratunam Hotel, a wide array of facilities is waiting for the guests. During the stay at J Two S Hotel Bangkok, guests can head towards the spa for availing the soothing massage. They can go shopping in the Pantip Plaza, and an indoor IT shopping mall. Owing to its close proximity to the Platinum Fashion Mall, people also go to the place for shopping. Central World Shopping Centre is another place for shopping in the area. Guests can go for different sightseeing tours during the stay in j two s Hotel. 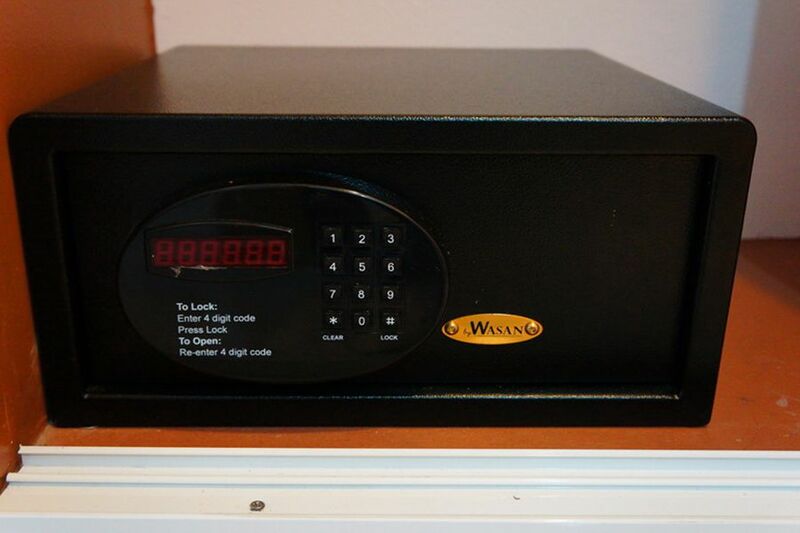 It features complimentary Wi-Fi and thus patrons can stay connected to the world during their vacation. Guests can have a phenomenal dining experience at J TWO S Pratunam Hotel. 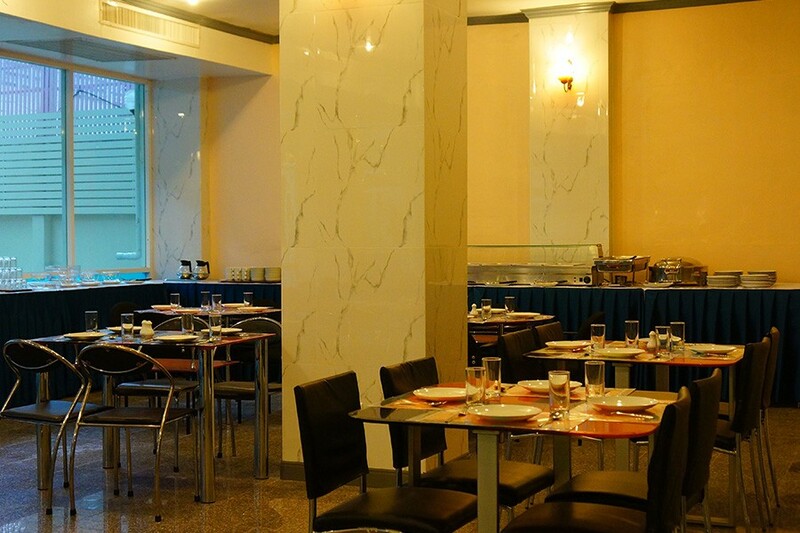 The J Two S Hotel Bangkok has an on-site restaurant which serves breakfast on a daily basis. If one is a foodie, one can take delight in the local cuisines, served at the restaurant. People are sure to love the American breakfast that is served in the buffet restaurant. The restaurant has earned a high reputation in serving Thai cuisines to the guests. Customers are sure to have an out of the ordinary experience during their stay at J Two S Hotel. 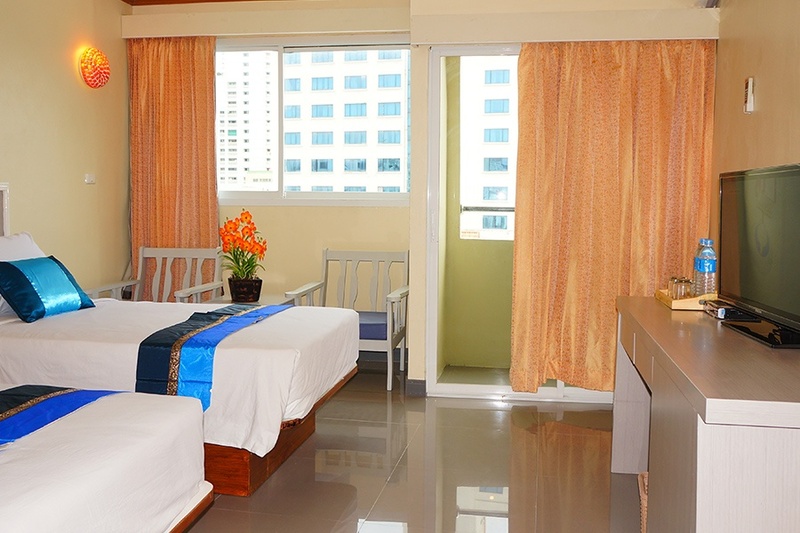 As they arrive at their room after having a fun-filled day, they are going to feel rejuvenated and relaxed in no time. Enveloped in the beautiful scenery and luxury, it is considered to be an ideal destination for shopping lovers and they are sure to have a wonderful time here. 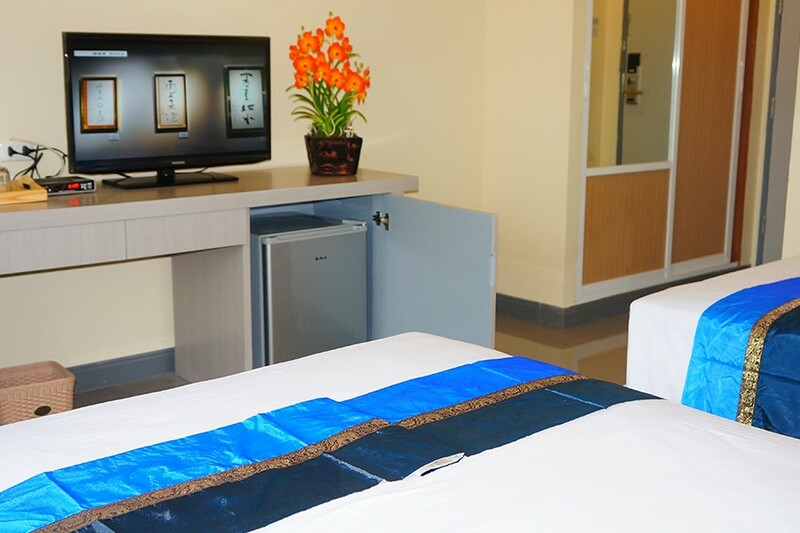 The hotel is located at a distance of 19.7 km from the Don Mueang International Airport. Does the hotel provide free WiFi to the guests? Yes, the hotel offers free WiFi to the guests. Guests can avail the soothing services at the spa and wellness center of the hotel. They can even go for the sightseeing tours. Shopping lovers can go shopping at the different shopping centers, located near the hotel. Mention some of the popular landmarks around the hotel? 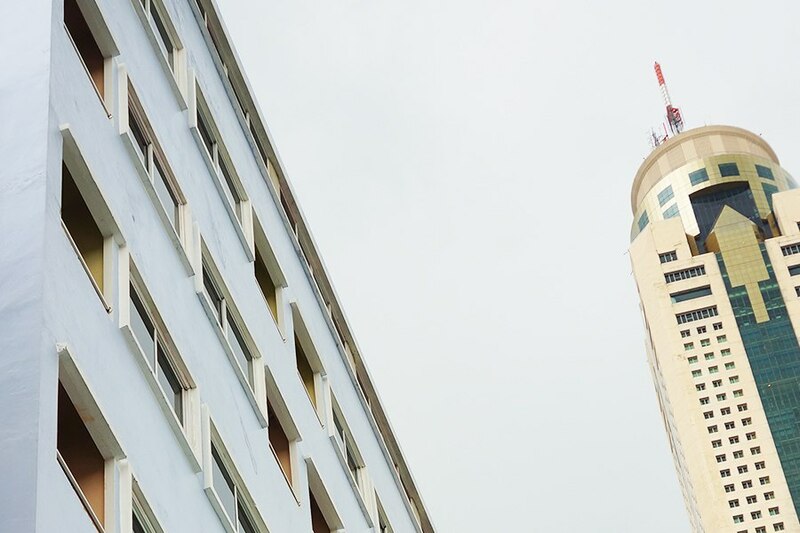 Some of the popular landmarks that are present near the hotel are inclusive of Temple of the Golden Mount, BTS-Sala Daeng, Bangkok City Pillar, Grand Palace. Does the hotel provide any breakfast services to the guests? The hotel offers American breakfast in buffet style to the guests. If one is looking for a holistic experience in this Thai Capital then choose to stay at J Two S Hotel and make their trip memorable. A two-star hotel with a close proximity to different shopping centers is something loved by every shopping lover. Guests can also avail the WiFi services at free of charge while staying in the hotel. It has become the favorite spot of the foodies as they can relish in different types of Thai and American cuisines during the visit to the restaurant. 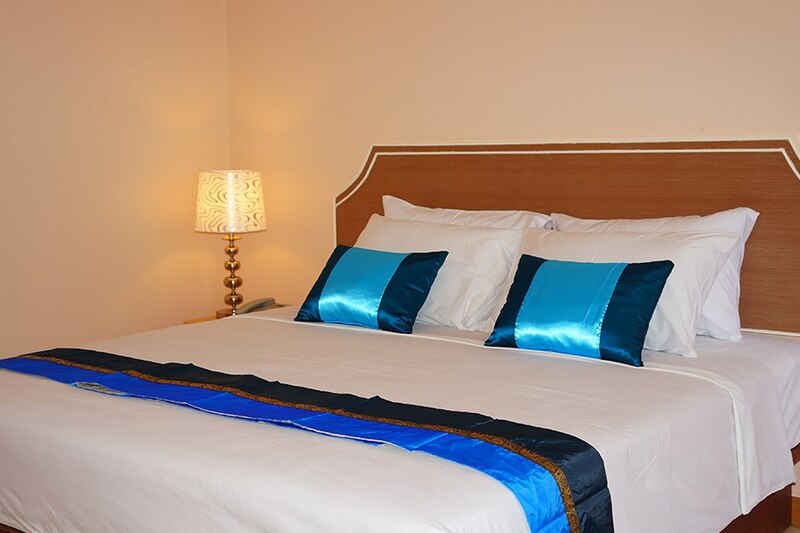 The accommodation at this hotel which is combined with different amenities such as spa ensures that. 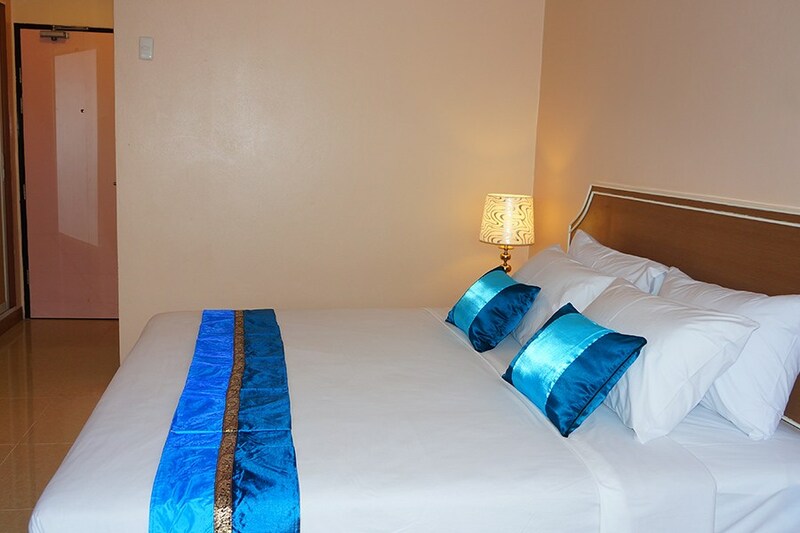 The rooms at this hotel boast of different facilities such as air conditioning, en-suite bathrooms, a seating area that offers a luxurious stay to the guests staying here. It is also the prime choice of shopping lovers, due to close proximity to the Pratunam Market. Guests can take delight in delicious coffee and mouthwatering breakfast during their stay in the hotel. J Two S Hotel is known to be one of the finest properties in the region who are willing to experience luxury within an exclusive budget.